Ronda Jean Rousey (/ˈraʊzi/ born February 1, 1987) is an American mixed martial artist, judoka, and actress. Rousey was the first U.S. woman to earn an Olympic medal in judo (Bronze), which she won at the 2008 Summer Olympics in Beijing. She is the former UFC Women’s Bantamweight Champion, as well as the last Strikeforce Women’s Bantamweight Champion. She won twelve consecutive MMA fights, six in the Ultimate Fighting Championship (UFC), before suffering her first and only loss to Holly Holm; she won eleven of those fights in the first round, nine of them by armbar submission. Rousey trains under Gokor Chivichyan of the Hayastan MMA Academy, and Edmond Tarverdyan of the Glendale Fighting Club. In 2015, she was the third most searched person on Google. As of March 2016, Rousey is ranked the #2 female bantamweight fighter in the world according to the Ultimate Fighting Championship, and #3 by Sherdog. Sherdog and Fight Matrix also list her as the #4 pound-for-pound Women’s MMA fighter. In May 2015, two magazines ranked Rousey as the most “dominant” active athlete. In September 2015, voters in an online ESPN poll selected Rousey as the Best Female Athlete Ever. Later that month, she claimed to be the UFC’s highest paid fighter, male or female. Rousey’s first feature film role was the 2014 film The Expendables 3. In 2015, she had roles in the films Furious 7 and Entourage. Elias Michael Theodorou (born May 31, 1988) is a Canadian mixed martial artist. He is currently competing for the UFC in the Middleweight division, and won The Ultimate Fighter Nations: Canada vs. Australia. Theodorou was born and raised in Mississauga, Ontario and attended Meadowvale Secondary School. He is of Greek descent. After Theodorou’s first year in college, he chose to take MMA classes as a workout, before opting to pursue MMA as a career. In December 2013, it was announced that Theodorou would be a cast member on The Ultimate Fighter Nations: Canada vs. Australia, representing Canada at Middleweight. He defeated Zein Saliba in the Quarterfinals and defeated Tyler Manawaroa in the semifinals. After semifinals, he went over to Phuket to train at Tiger Muay Thai with coach Patrick Cote. 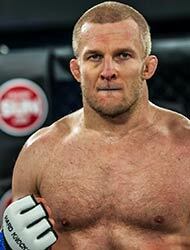 Mikhail “Misha” Cirkunov (Russian: Михаил Циркунов, Latvian: Mihails Cirkunovs; born February 27, 1987) is a Latvian-Canadian mixed martial artist of Russian descent, who currently fighting in the light heavyweight division of the Ultimate Fighting Championship (UFC). He lives in and fights from Toronto, Canada. Before taking up MMA, he was a highly accomplished judoka. Cirkunov made his professional debut in January 2010 and amassed a record of 9-2 before signing with the Ultimate Fighting Championship in the summer of 2015.